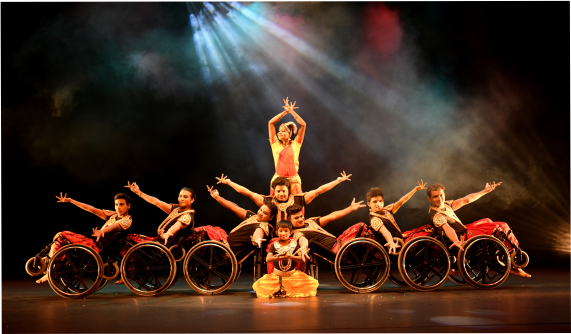 India's first Inclusive dance company promoting the talents and abilities of people with special needs. 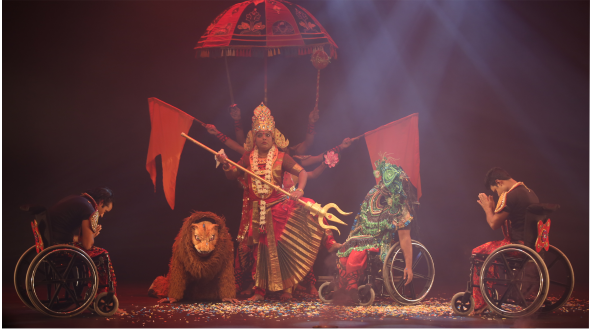 "Miracle on wheels" for almost a decade now, has been providing an equal platform for artists who are differently abled along with abled artists. People with special needs are no different from the rest of the society. They have extraordinary talents which is often ignored. Our motto is to bring them into the limelight and showcase their skills across the nation and worldwide. 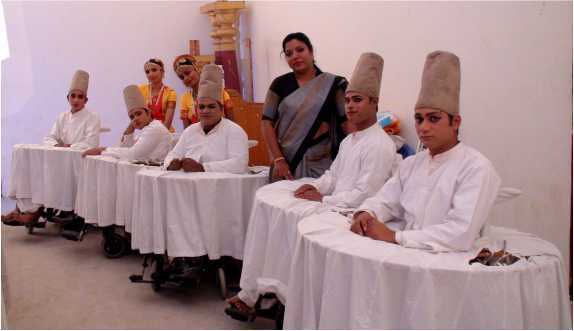 Miracle On Wheels performances by differently abled : The innovative variety of services we tender to arise from our experience in the field of performing arts and understanding the needs of the client. Each performance offers relevance and integrates the performance and aims of the client upkeeping the standards of professionalism. 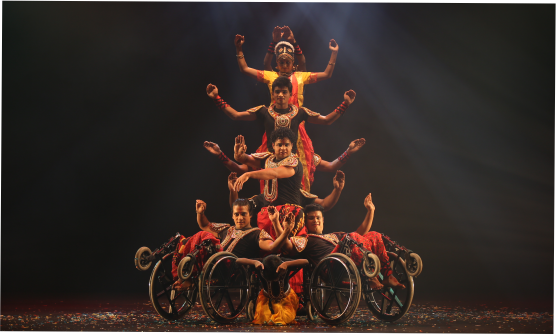 Corporate events : Inclusive wheelchair Dance performances that are designed to suit every occasion. From exclusive concept acts, product launches, logo revelations to conference openings, press meets, award ceremonies and founder’s day. Wedding, social events, Film awards or Television : Events are a way of celebrating life. Custom-made large or medium scale work add to this festivity, making your event premiere. Whether the theme stands in mythology, rituals or draws a contemporary relevance, trust us to turn it into a visual extravaganza. We specially customize the acts to suit the occasion. You name it and we have our innovative and creative means of turning it into reality. MAhiraa Jaan, having been born and brought up in the 'Temple City' Madurai took an early interest in classical dance and was formally trained in Bharathnatyam. Even in her younger years, MAhiraa took a keen interest in social development and reformation and actively participated and volunteered her time in various activities aimed at improving the quality of life at orphanages while working towards the upliftment of women and the differently abled community all around the country. Now, affectionately known as MA to her students, MAhiraa continues her work as a Social Worker and Educationalist in discovering, nurturing, rehabilitating and showcasing the outstanding abilities of those with special needs, across the Nation. Believing in her motto 'Skill is Will', she aims at empowering her differently abled students with skills and talents so that they feel confident to lead an inclusive, independent and dignified life. MAhiraa continues to be a dynamic force in the Indian social scenario and firmly believes in National Integration and social service through her continuous efforts towards her calling and cause. As in her own words, "Serving humanity is like serving God". Copyright @ 2017 Miracle On Wheels, All Rights Reserved.